Welcome to the January 16, 2019 edition of ACM TechNews, providing timely information for IT professionals three times a week. Finland has launched an ambitious challenge to teach the basics of artificial intelligence (AI) to 1% of its population, or about 55,000 people. Once it reaches that goal, the country plans to go further, increasing the share of the Finnish population with AI skills. This plan is part of a greater effort to establish Finland as a leader in applying and using the technology. As part of the program, citizens take an online course that is specifically designed for non-technology experts with no programming experience. As of mid-December, more than 10,500 people, including at least 4,000 outside of Finland's borders, had graduated from the course. In addition, more than 250 companies have pledged to train part or all of their workforce in AI. Small farms are starting to upgrade to high-tech operations, with one example being Rivendale Farms in Pennsylvania. According to Rivendale owner Thomas Tull, the farm uses small scouting robots designed at Carnegie Mellon University (CMU) and other innovations to establish a "boutique, cutting-edge farm, enabled by technology, that produces great food." CMU's "scouting robots" are designed to identify disease and weeds in vegetable fields, sending alerts via smartphone. Rivendale's dairy barn is equipped with an automated feed system and robotic milking machines, programmed to milk the cows an average of four times daily. 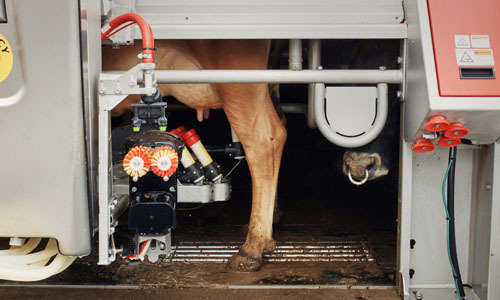 Lasers scan and guide the milk suction devices onto each cow's teats; milking stations dispense vanilla-flavored feed pellets, and sensors and a scale prevent cows whose udders are not full from coming back to snack at their leisure. Face transplants are a proving ground for medical applications of three-dimensional (3D) printing and imaging. In one operation involving the complete replacement of a patient's lower face with donor tissue, the surgical team first took computed tomography images of the face. These were converted into a digital 3D model so the team could thoroughly plan the procedure. The 3D-printing software and app provider, Materialise, produced a precise 3D-printed anatomical model, to assist with planning and surgery. The team conducted seven practice surgeries with cadavers, scanning each cadaver for 3D modeling by Materialise, which consulted with the head surgeon to modify the operation, then printed cutting guides as fast as possible. India's Supreme Court will hear a plea challenging the December notification of the Ministry of Home Affairs (MHA) allowing 10 central agencies to monitor and decrypt data stored on any computer in the interest of national security. The plea called the order "illegal, unconstitutional, and ultra vires." The directive authorizes the agencies to track content "generated, received, and stored" in any computer owned by any individual or organization. The MHA said each case of interception, monitoring, and decryption had to be sanctioned by the Union home secretary and reviewed every two months by the cabinet secretary. The plea also called for court guidance to ban security agencies from initiating criminal proceedings or investigations against anyone under the provisions of the Information Technology Act of 2000, which could be invoked as per the notification. President Trump has promised to reduce the number of H-1B visas granted, which currently allow 85,000 foreigners annually to work in "specialty occupations" in the U.S. Meanwhile, Canadian businesses see an opportunity to lure international tech talent north of the border. Some Canadian entrepreneurs are going to Silicon Valley to persuade companies that rely on foreign tech workers to move to Canada. In 2017, the Canadian government launched the Global Talent Stream, a program designed to fast-track work authorization for those with job offers in high-skill fields such as science and technology; to date, more than 2,000 companies have applied to hire Talent Stream workers, according to the governmental Immigration, Refugees, and Citizenship Canada. 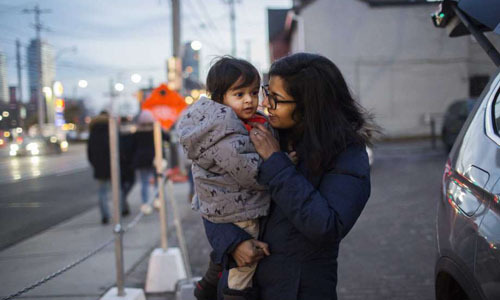 Moving2Canada.com editor Hugo O’Doherty said noncitizens in the U.S. “don’t know if they will be able to stay, if their spouse will be able to work, if their kids will have a pathway to citizenship,” adding that in his experience, Canada appeals to people who want stability. Last week's CES 2019 showcased tech beauty products from Procter & Gamble (P&G), L'Oreal, and Neutrogena. P&G announced Olay Future You Simulation, an addition to its online Olay Skin Advisor tool that uses an algorithm to show users what their skin and face will look like in the future under different conditions. L'Oreal unveiled a wearable adhesive skin sensor that tracks skin pH in real time, to help people with conditions like eczema and acne test and monitor those conditions. The sensor can reportedly furnish an accurate pH reading within15 minutes, using micro-channels to capture trace amounts of perspiration. Neutrogena's MaskiD app measures the size of a user's face and generates a custom mask with color patterns adjusted for the user’s skin needs, along with personalized treatments. Said Forrester Research retail analyst Sucharita Kodali, "People want products that are going to work for them. I don't think that they care whether or not it's personalized." Over the past few years, the service industry has been reducing worker schedules by outsourcing some traditionally human duties to machines. For example, some companies are using robots to take over bartending and salad-making duties on cruise ships and in airports, and an increasing number of hotels are offering automated check-in via app or facial recognition. Some hotel rooms also are being equipped with Alexa-enabled speakers that let guests ask for sightseeing tips and order amenities without talking to staff. 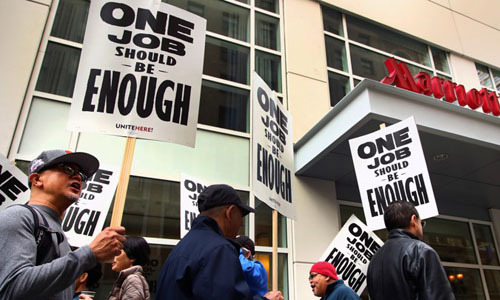 However, these trends have led to grave concerns from hotel staff: last year nearly 8,000 Marriott International employees marched outside hotels for two months in an effort to gain protection for their jobs against automation. Workers also are demanding new technologies that will increase their safety, such as global-positioning system-enabled panic buttons to combat harassment. Walmart anticipates the hiring of 2,000 technology experts this year in an effort to bolster both its brick-and-mortar stores and its online presence. The company is looking for data scientists, software engineers, designers, and others to work in nine offices worldwide to support Walmart's efforts to expand its online business and embed in-store technology, such as robots that scrub floors and scan shelves. Walmart's new digital tools include algorithms that help store associates pick online orders faster by mapping the optimal route through the aisles. The company’s recruitment efforts will expand its competition with Amazon over the best technology talent beyond Silicon Valley, where both companies have offices, and into emerging corridors like northern Virginia. Researchers at ForeScout, an enterprise security vendor, warn smart building-targeting malware is the next step in the rapidly expanding attack surface made vulnerable by automated systems. The researchers developed a proof-of-concept malware that revealed weaknesses in building automation systems that provide autonomous control of much of a structure. The open and interconnected nature of smart buildings, as well as Internet of Things devices that are often combined with legacy systems, result in old operational technology being integrated with new information technology. The ForeScout researchers found multiple vulnerabilities across several devices and software used in smart buildings. All vulnerabilities identified by ForeScout have been fixed with patches, but the researchers said those patches haven't been applied to many devices in use due to poor security update strategies in many building management companies. University of Washington researchers have developed a smartphone app that uses sonar to monitor a user's breathing rate and discern when an opioid overdose has occurred. 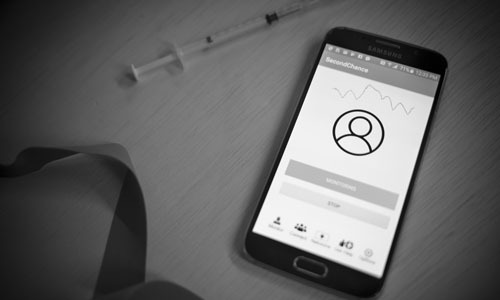 The Second Chance app accurately detects overdose-related symptoms about 90% of the time and can track a user's breathing from up to three feet away. The app sends inaudible sound waves from the device to users' chests, then monitors how those sound waves bounce back to the phone to identify specific breathing patterns. The researchers asked participants to prepare their medications as they normally would, then began monitoring them before their injections to get a baseline value for their breathing rates. The participants were then monitored during the injection and for another five minutes. The algorithm correctly identified breathing problems that foreshadow overdose 90% of the time on average. Researchers at the U.S. National Cancer Institute's division of cancer epidemiology and genetics have developed an artificial intelligence (AI) algorithm that could help women in developing countries gain access to advanced cervical cancer screening. The technique relies on photos and AI to identify changes in the cervix that may lead to cancer. In a 1990s study from Costa Rica, photos were taken of visual inspections of more than 9,400 women; their health was tracked for as long as 18 years, giving the researchers firm answers about who in that cohort developed cancer or precancer, and who did not. The researchers used this information and the photos to train the AI algorithm to detect who will and will not need treatment. The algorithm could detect more suspicious areas and cancers than human experts, and performed even better than the Pap smear, which has been the standard test for cervical cancer for many years in developed countries. 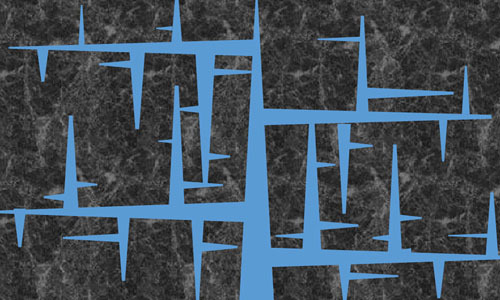 Researchers at the Robert R. McCormick School of Engineering and Applied Science of Northwestern University, working with colleagues at the U.S. Department of Energy’s Los Alamos National Laboratory (LANL), have developed a computational model that could potentially raise efficiencies and profits in natural gas production by better forecasting previously concealed fracture mechanics. LANL's Hari Viswanathan said, "This work offers improved predictive capability that enables better control of production while reducing the environmental footprint by using less fracturing fluid. It should make it possible to optimize various parameters such as pumping rates and cycles, changes of fracturing fluid properties such as viscosity, etc. This could lead to a greater percentage of gas extraction from the deep shale strata, which currently stands at about 5% and rarely exceeds 15%." The model accounts for the closure of preexisting fractures caused by distant tectonic events and water seepage forces, to show how branches form off vertical cracks during fracking and allow more natural gas to be released.